This design was created using a 2.5 MM running stitch gone over a couple times to give a bold look. This would be a great design for a quilt block. 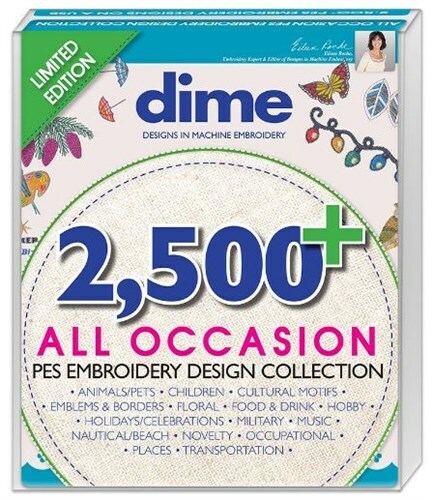 This particular design has a bigger version with a stipple stitch surrounding the design. I had many requests for a smaller verision, but it cannot be done in this size with the stipple stitch. The main part of the design is too dense. 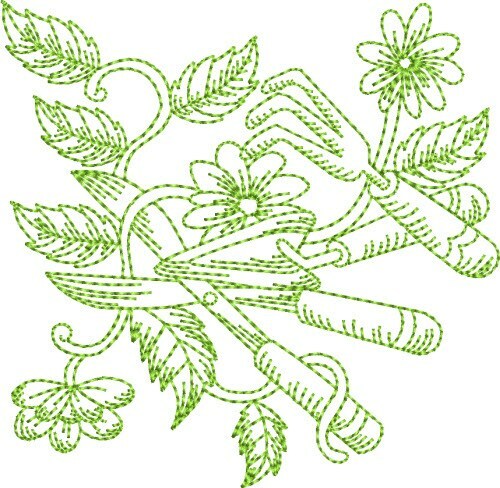 Kinship Kreations is happy to present Garden Tools Block machine embroidery design which has 4954 stitches and is [99.82 mm x 99.57 mm] large. If you would like to view more embroidery patterns please search on our embroidery designs page.